A metal, mine or a metallurgical process plant handles a large diversity of samples. These samples might come from known routine sampling points within the concentrator plant or be of unknown concentration and matrix in the case of pit, geology or even environmental samples. This means the lab staff usually have little idea of what to expect from the samples to be analyzed or what method needs to be used to best analyze the samples. For example, while processing geology samples, the lab staff can expect these samples to have huge variations in the expected concentration, compare to, process plant samples, which would have more predicable concentration. 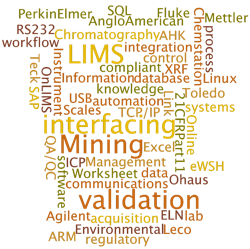 A Laboratory Information Management System (LIMS) solution designed for Metals and Mining Labs, in contrast to LIMS designed for the pharmaceutical or food industry, where the samples have a more uniform concentration, needs to be flexible and agile to handle these variations in expected concentrations in an effortless and efficient manner. 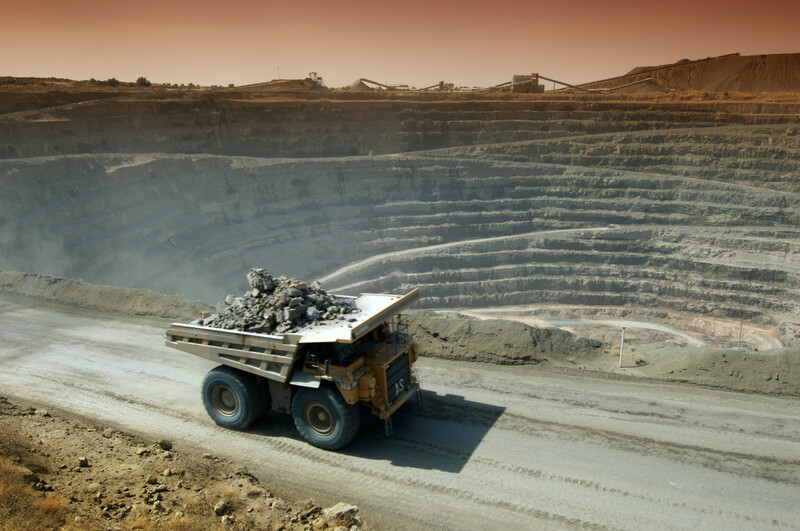 Online LIMS, a LIMS for Metals and Mining Industry specializes in geochemical solutions and was carefully designed to cleanly store samples generated in a small or large mining plant. Online LIMS can simultaneously handle routine samples (process plant) and non-routine sample batches (geology, pit, etc). In the cases when the sample concentration is totally different from the expected, the analysis method can be easily modified without having to reconfigure the system. This is something that cannot be done with a rigid LIMS system designed to work in the more controlled environment of the pharmaceutical and food industry. A mine laboratory can expect to receive routine samples from the plant or non-routine samples from geology or pit. Sample structure can be of any type. Expected sample turnaround could be as short as one hour. So it is important that the LIMS provides effective tools to optimize the sample labeling, sample receiving and sample tracking. Quality control practices dictate that a percentage of the samples must be sent to an external lab for a ‘second opinion’. To make this process more efficient, the LIMS should provide a mechanism for the lab staff to electronically generate analysis requests and import the external lab results back into the LIMS. This process should be as stream-lined as possible. Most analytical processes can be automated yet the LIMS system needs to be flexible and easily customizable to handle unexpected sample types. The chemist should be able to make these changes on the fly depending on the best method required to analyze the sample. Online LIMS addresses this issue with the Online Worksheet (ELN). It is a very practical electronic notebook suitable for mining labs. The Online Worksheet closely mimics the functionality found in Excel, the most widely used spreadsheet. 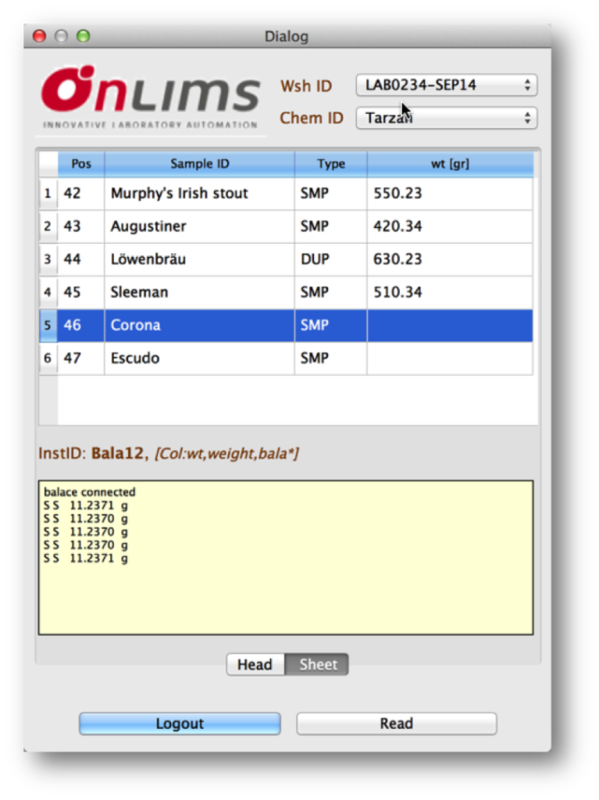 With this powerful tool, the chemist can configure any method and workflow. The Online Worksheet also doubles as an instrument integration system that automatically connects and retrieves data directly from most instruments. A big challenge for many lab instruments and electronics components is dealing with the dusty and sometimes caustic environment in the lab. Instrument interfaces, computers and peripheral devices have to be rugged enough to handle these conditions. Barcoding each sample throughout the analytical process is difficult or at times impractical (for example test tubes or fire assay crucibles). A well-designed device interface should visually display the sample identification so that the chemist can point to the correct sample being analyzed to minimize mismatching samples to assay results. 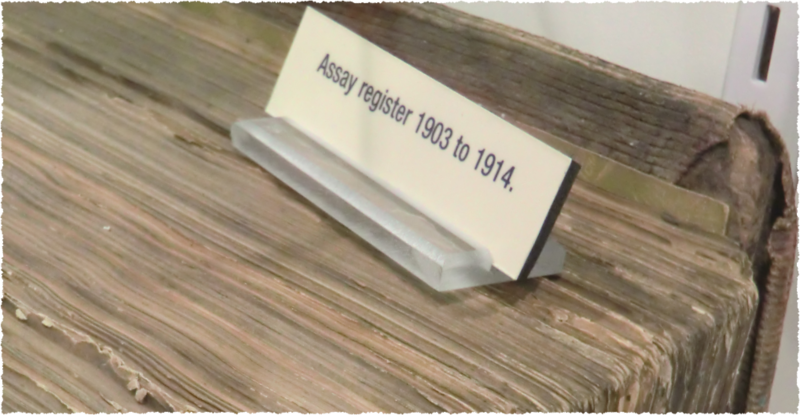 An old and proven technique is to label each sample with a number indexed to the auto sampler or fire assay tray. Even if this is not error-proof, it can be minimized inserting standards and duplicates to the tray. The Online Worksheet interface make this task easy and convenient for the lab users by allowing the specification of a sequence id directly matched to each sample. A LIMS installation should minimize disturbance to the lab work schedule and work load. During installation, LIMS consultants take time to better understand how the lab works and learn the particular requirements and needs of each area of the lab. OnLIMS feels strongly that the LIMS must adapt to the lab and not the lab to the LIMS system. With the LIMS a Virtual Server (VM) is delivered during the first phase of the installation and it is customized to fit the lab requirements as well as the configuration of the main analytical methods used in the lab. Lab Methods are saved as Worksheet Templates, similar to Excel Templates. 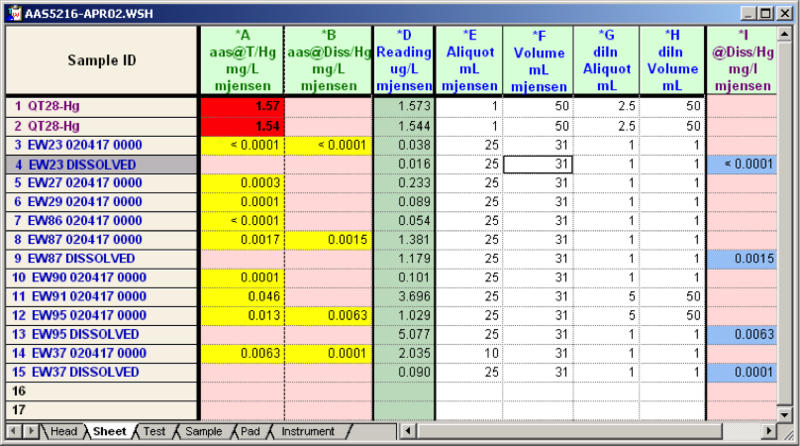 Lab method can include formulas, detection limits, reporting values decimal places and significant digits, for example. The second phase of the installation is done on-site, and consists of training the lab staff with emphasis on how to perform their everyday tasks using the Online LIMS tools as well as giving each lab member an overall view of the system and how the lab staff can use and support the system on their own. A complete LIMS installation for a medium size lab (40 technicians and 30 instruments) can be completed within 4 weeks (on average), and automation of at least 80% of the lab work can be achieved using OnLIMS. OnLIMS is designed to be configured and maintained complete by the lab staff requiring very little of no IT support. Interfaces to external systems (e.g. ERP (SAP), Process plant (PI Osisoft), Geology (acQuire), Metallurgy (Algosys) …) need to be in place in for the lab to deliver assay results to its clients. These interfaces should be easy to use. LIMS for Metals achieves this by automating the interface to the external system. Whenever possible, these interfaces are built directly from the Online LIMS database to the external system database. Optimally the interface should be bidirectional to confirm that the published results were received by the client system. Interfaces to external systems is can also be done thought the use of reports. These reports can printed reports or electronic files in various formats including pdf or complex Excel files. Online LIMS implementation of audit logs is very extensive and covers many areas. The logs are also easily accessible and can be reviewed at any time. For example, at the result level (data cells) every time the value is modified, the audit log is updated with the timestamp and user that affected the change. The whole log can be reviewed by right-mouse clicking on the data cell. For auditing purposes, every final result cell is linked to its data source. The data source consists of the full worksheet with all intermediate and final calculations as well as the raw instrument data. Online LIMS is integrated with an advanced quality control system with excellent data analysis capabilities. It handles Replicates (Dups) and References materials. Online LIMS is a powerful tool designed to integrate the laboratory with the mine process and to standardize all data management. It handles all the complex data manipulations and only formatted final results are forwarded to the Database / LIMS system. Mimicking the organization of a lab, Online LIMS is structured into 4 applications. Each staff member utilizes a specific tool, making the learning process both simple and highly efficient.